Boy-Scout-turned-Indiana-Jones Michael Murphy may be a renowned field archaeologist, but he's no tweedy scholar living in an ivory tower! In The Europa Conspiracy, Murphy heads to Babylon, determined to unravel one of Daniel s most mysterious prophecies. Can he decipher the true meaning of the handwriting on the wall before evil forces annihilate him? 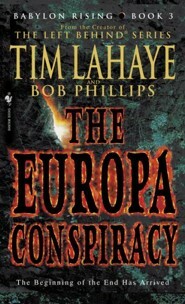 Tim LaHaye has called Babylon Rising his most exciting series ever, and The Europa Conspiracy is the most thrilling and suspenseful installment yet. Reaching back to some of the most dramatic and prophetically significant stories of the Bible, and forward to the creation of ultimate evil in the modern world, the awe-inspiring revelations never let up. It begins when Michael Murphy heads to the ancient city of Babylon in pursuit of one of the most famous and mystifying of Biblical prophecies: The Handwriting on the Wall. But the closer he gets to deciphering the true meaning of Daniel’s ancient message for our troubled times, the closer Murphy comes to a shattering confrontation with the forces of darkness that will cause the earth itself to tremble. 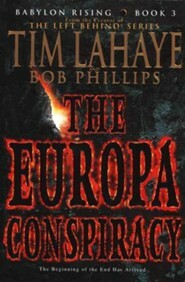 In The Europa Conspiracy, Tim LaHaye once again shows how his thrill-a-minute storytelling and deep understanding of the Bible have combined to make him one of today’s most popular and influential fiction authors. Dr. Tim LaHaye is a renowned prophecy scholar, minister, and author. His Left Behind® series is the bestselling Christian fiction series of all time. He and his wife, Beverly, live in southern California. They have four children and nine grandchildren. Bob Phillips, Ph.D., is the author of more than eighty books. He is a licensed counselor and the executive director for the Pointman Leadership Institute. 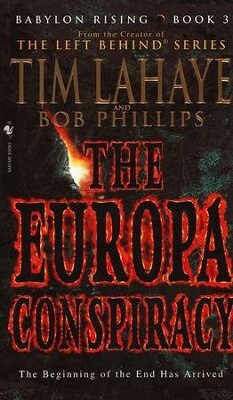 I'm the author/artist and I want to review #3: The Europa Conspiracy.